Whisk egg and milk. Wash and cut steak diagonally into 1 inch thick strips. Unless it is venison, then usually leave them round since the steaks are smaller. Place steak strips into milk and egg. 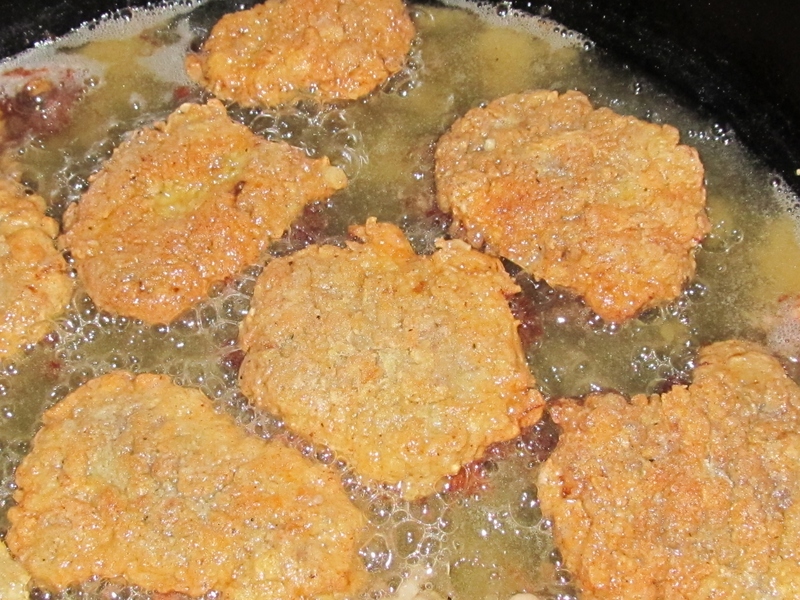 Pour oil into skillet or frying pan ( there should be about ½ inch of oil in bottom of pan) on medium high heat. Whisk together Flour and spices in mixing bowl, either leave it in the mixing bowl or pour into a large zip lock bag. Remove each strip from milk and egg and place in flour mixture to coat strips. After steak is coated place in hot oil, to pan fry until golden brown on each side and no longer pink in the center. ( about 3- 4 minutes on each side, depending on how hot oil is). I like to slice thru the center of the first steak strip I remove from pan to make sure it is cooked thru. Serve while warm. This is a favorite at our house.